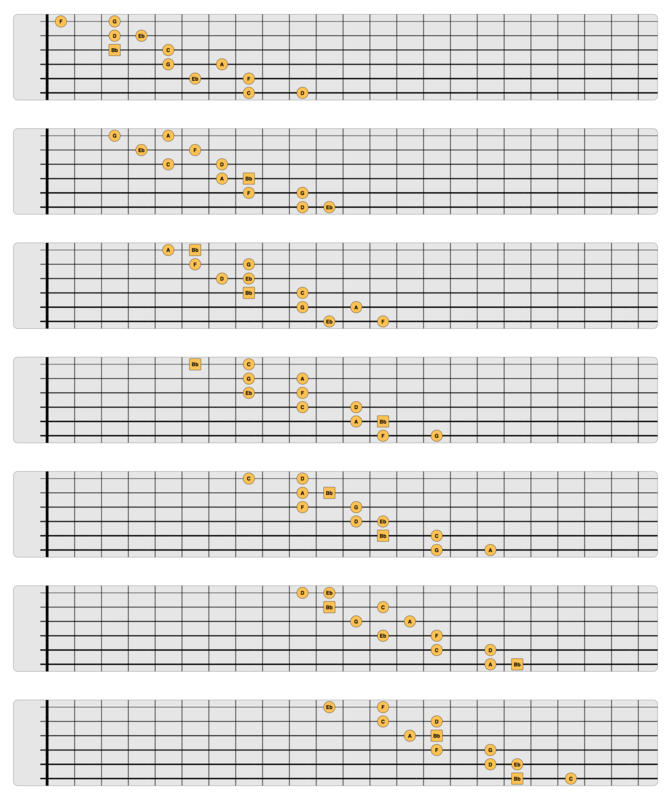 Two notes per string (NPS) scale patterns allow guitarists to play the scale going up with the pitch by proceeding backward with the hand and vice-versa. Here are the shapes in 12 keys. A picture of the Bb major scale 2 NPS.